Inle lake is one of the most popular destination in Myanmar. 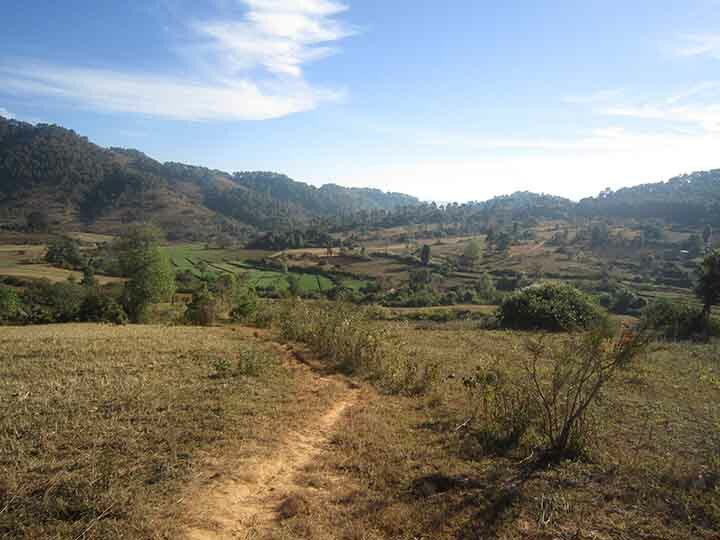 It is worth a visit, but if you want to experience the best of it you should get there trekking from Kalaw. 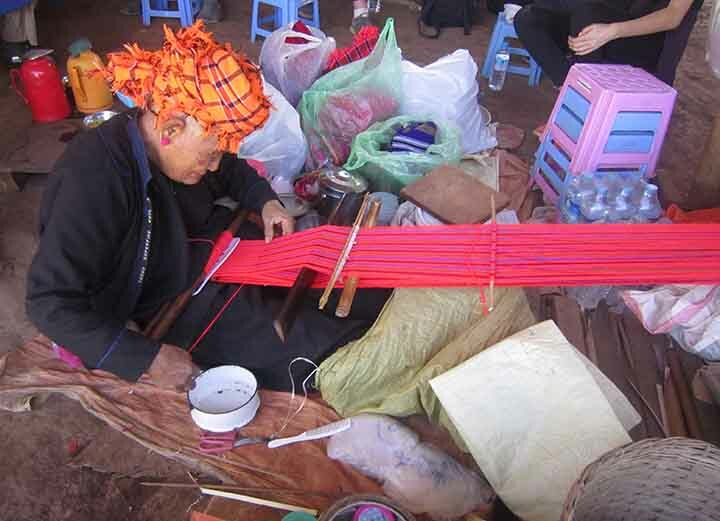 Located in Shan state, the 3 day trek goes across a rural region with beautiful landscapes and minority tribes villages. The first two days are the most interesting, while the last one is just connecting to the lake. A 2 day trek option is available but I highly recommend the 3 day one. 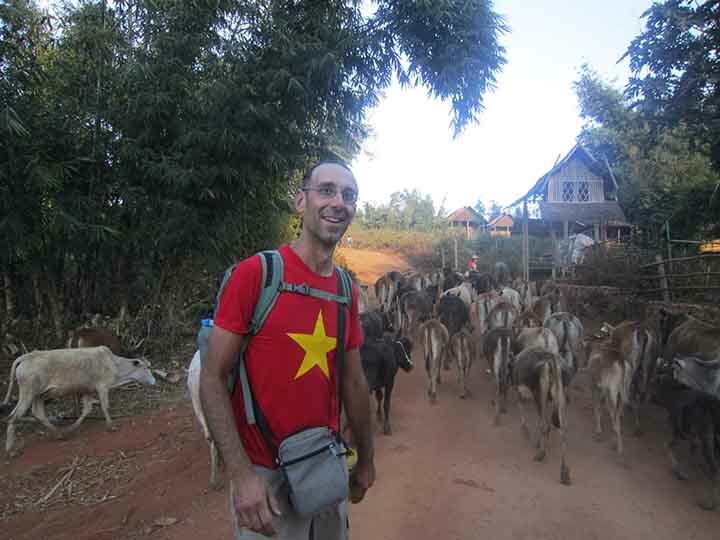 It is possible to do the same trek from Inle lake to Kalaw. 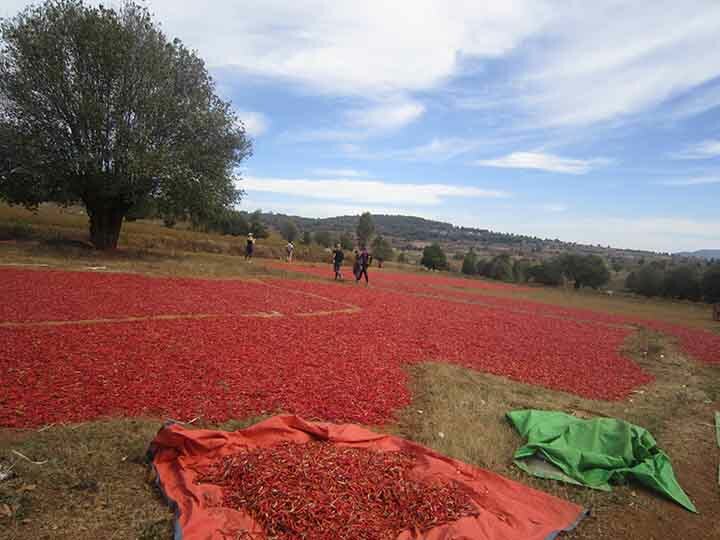 I chose the tour by A1 trekking, which costed 50 USD including food, accommodation, boat ride and big bag transfert. I love cultivated land and here I could enjoy the sight of different fields. Tea, sugar cane, chilli peppers, tumeric, tomato garlic and, of course, rice and corn cultivations. Cows and buffalos are very often part of the scenery, either eating peacefully, or used for pulling a cart or a plough… or just ridden by kids for fun. A few tractors and motorbikes can also be spotted on the way, but mostly you walk in a calm and beautiful countryside. I was with a nice group of 5 people and a great local guide, Elliyas, who added great value to the tour. He explained us a lot of things about the agriculture and the villages and the political situation in Myanmar. His stories about the military corruption and the Chinese exploiting land and resources were just amazing as long as hearing how smartly (and peacefully) “the lady” Aung San Suu Kyi behaved from being in jail to win 2015 elections. Everybody loves her here, you’ll find her and her father’s portraits everywhere. Elliyas’s also very handy and has great sense of humour: the real story of the “soap lady” who was on that trek is one of the funniest I’ve ever heard. If you come you must ask him! We crossed and stayed in some tribe villages (there are 135 minorities in Myanmar). We met a 86-year old lady who was still weaving colourful bags with a traditional loom. In this days where a Chinese worker is likely to produce dozens a dat, it looked a fairy tale seeing that she needs 3 days (4 hours a day) work to make one single bag. In the next days each time I saw somebody with that type of bag I couldn’t help wondering whether it was one of her’s. People are friendly and kids are lovely, waving at you and – unlikely other Southeast Asia countries where they say “hello” – saying “minglaba”. But life is hard here with not much comforts. So were our homestays. Taking a ice cold shower using water buckets was the easy part. Being at about 1.500 mt height in January it gets really cold at night. And you have no heaters/fire and the wooden walls allow wind to pass through. On the first night temperatures dropped below 0 degrees and my two blankets weren’t enough, I managed to survive sleeping wearing all my clothes at once (two sweaters, wind jacket and two pair of trousers). Only comfort was that electricity was available thanks to recently installed solar panels. Interesting to know, the military governement promised them before 2010 election, but they didn’t keep their promise. So it was Aung San Suu Kyi to provide them for extremely cheap prices (a small one costing about 50 dollars). Anyway, I enjoyed a lot these homestays because they were real (the family slept downstairs or in another room) without privileges, not touristy fake ones. Actually, we had one privilege… our own private cook! Yes, there was a person travelling ahead of us, sent by the agency, to prepare our meals when we stopped for lunch, dinner and breakfast. They were all very abundant and diverse (pancake, rice and curries, shan noodles… even flambé bananas). The final day we reached the Southwest shore of the lake and took a boat to Nyuang Shwe, the main town around and base point for tourists. 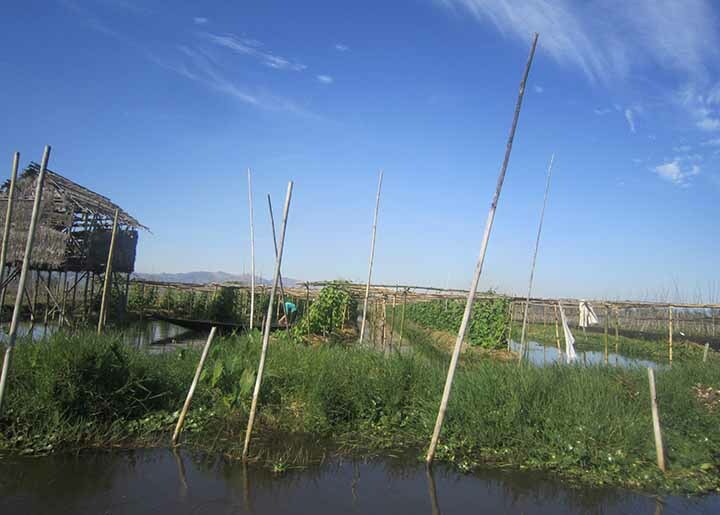 On the way we passed through floating gardens and stilt housed and saw some fishermen with their traditional fishnets. Actually there isn’t much more to see on the lake, apart the floating market that takes place very five days. So once the trek was over, we all in the group felt there was no need for another boat ride and preferred a bike tour the next day which ended up in a vineyard for tasting local wine. Not the best I’ve ever had but it was a nice surprise. In conclusion, the trek from Kalaw is definitely the highlight of Inle lake. A must do. Did you like this post? Leave a comment! Posted in Travel and tagged agriculture, Inle, Kalaw, Myanmar, nature, people, trekking.